It is with heavy hearts and great sadness that we, the family, announce the passing of Deborah Marie Desveaux, on March 26th, 2018 at the Cape Breton Regional Hospital. Born February 26th, 1953 in Sydney, she was the daughter of the late Ignatius and Kathleen (Carson) Brown. Debbie enjoyed working for many years as a Personal Care Worker at Braemore Home. She was an amazing and loving wife, mother, grandmother and friend to so many. Her smile could light up a room and her kind heart and loving spirit helped so many people throughout her life. 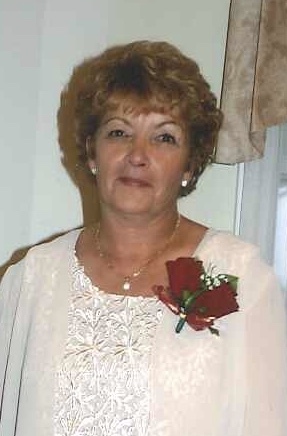 Debbie loved all animals, especially her three chihuahua pups, Chili, Scarlett and Brownie and being near the ocean, spending summers at her home in Cheticamp. Debbie will be sadly missed by her husband, Robert of Sydney; daughters Melanie (Trevor), Sydney; Janine (Curtis), Florence; Natasha (Joey) and Nicole (Ryan) of Fort Saskatchewan. As well as her precious grandchildren, Brayden and Skylar-Paige, Florence; Kyptin, Bentley, Ryder and Hudson, Fort Saskatchewan; her mother-in-law Theresa, Cheticamp; brother-in-law Roger (Connie), New Waterford and many aunts, uncles, nieces, nephews, cousins and friends. Besides her parents, Debbie was predeceased by her husband, Bruce Moore; sister, Sharon Burton; nephew, Stephen and her brother-in-law, Raymond. Her family would like to thank Dr. Susan MacLeod, the nurses of Unit 4B and the Palliative Care staff at the Cape Breton Regional Hospital. In honoring Debbie's wishes, there will be no visitation. Cremation has taken place. A Celebration of her Life will be held on Saturday March 31, 2018 at 10am at S.W. Chant & Son Funeral Home, 564 Alexandra Street, Sydney. Donations in Debbie's memory can be made to the Cape Breton Chapter of the S.P.C.A. Funeral arrangements are under the care and direction of S.W. 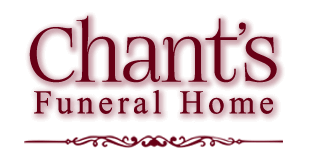 Chant & Son Funeral Home.